Empath: The root of the word comes from Empathy. Jane has empathy for Joe as he mourns the loss of his father. Jane may have lost her father in the past but not recently. She is capable of feeling what Joe is feeling. She is Empathetic. Jane is an Empath. “a person with the paranormal ability to apprehend the mental or emotional state of another individual”. 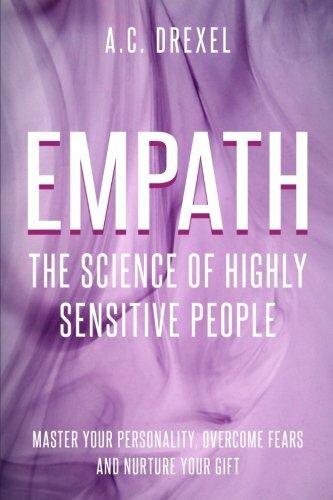 In many articles and books Empaths are defined as “sensitives”. This is what is referred to as the “spiritual psychological profile” for a person who displays the traits of being an empath. It does not mean people who show sensitivity or are sensitive to the needs of others, although Empaths always display these traits. It means people who display the traits of being psychically sensitive. Empaths not only pick up on and detect others emotions but they also, often unwittingly and unknowingly, absorb and reflect the emotions of others. 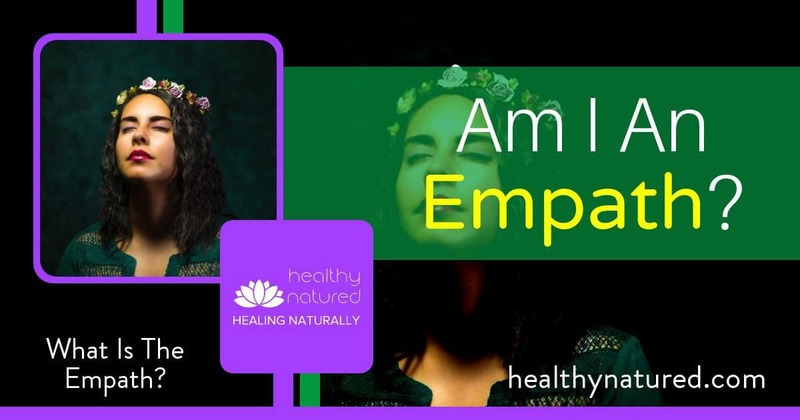 Am I An Empath – What Is The Empath Definition? Energy Shifts And Transfer. Empaths absorb, shift and transfer emotional energies. They absorb emotion in a similar way as a sponge absorbs water. In the same fashion they can also transfer energy. Empaths when consoling someone transfer their positive and loving energy to the other person. This results in the other person feeling a great sense of relief and emotional stability. This is why an empath may find they are actively sought out by others going through an emotional crisis. However the empath needs to be aware that this can lead to them being drained of energy and physically and psychically weakened. It is critical for the empath that they are aware of this energy transference as they will be constantly affected by other people’s energies. Once aware the empath can have much better control over, or at least an understanding of, why this innate ability to intuitively feel and perceive others feelings has such a profound impact upon them. Am I An Empath – What Is The Empath Spiritual Psychological Profile? As an Empath your life can be unwittingly, and often unknowingly, influenced by others’ desires, wishes, thoughts, and moods. 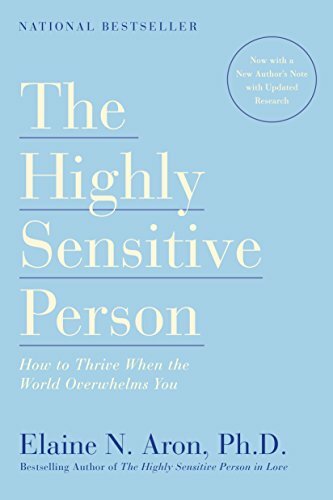 This is much more than being highly sensitive and more than just sensing the emotional state of others. Being an Empath brings with it the ability to perceive the physical sensitivities and spiritual urges of others, as well as sensing and knowing their unspoken motivations and intentions. Being an Empath is part of you, your spiritual and physical DNA. You can not learn to be an Empath. You cannot stop being an Empath. You are an Empath or you are not. Being an Empath is a difficult life journey (but in my opinion is one you selected and were born for). As an Empath you will truly understand how to “feel” and, as is often the case, will take on the emotional state of others around you. This is often due to the Empath having the innate desire to heal, help, cure and soothe. Even at risk and disregard to yourself. Being an Empath means you are constantly transferring energy. Either you absorbing it from others or transferring it to them. With this comes a likelihood of physical energy transference issues. Absorbing emotion can lead to you developing energy blockages and imbalance with the chakras and subtle bodies (see the guide for what are the 7 chakras and how to balance chakras). 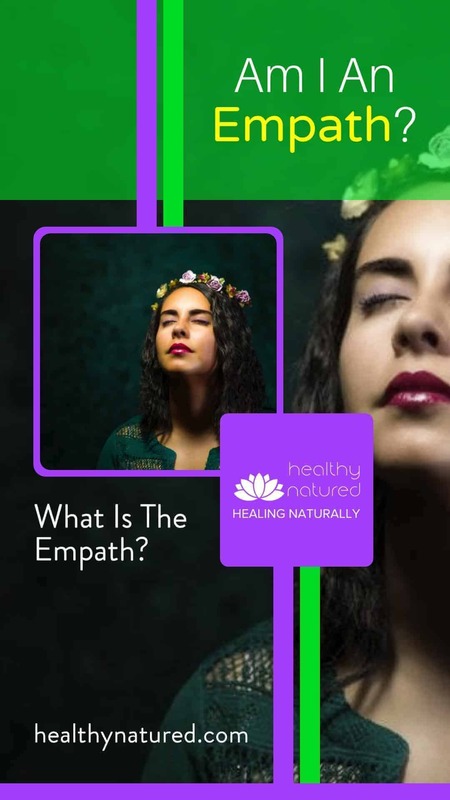 Because of this empaths may experience this imbalance and energy blockages as “emotional physical” symptoms and illnesses such as chronic fatigue, unexplained aches and pains, unknown stress, anxiety and, if left unchecked, depression. These emotional physical symptoms associated with being an empath are not usually due to your own personal ill health. They are due to your emotional energy absorption from outside influences. Simply put, as an Empath you are constantly collecting “emotional energy baggage” from others. An Empath is an energy shifter – either transferring or absorbing energies. This is often unknown and done on an unconscious level. An empath is often an emotional mirror of those surrounding them. The Empath Emotional Mirror – Am I An Empath? 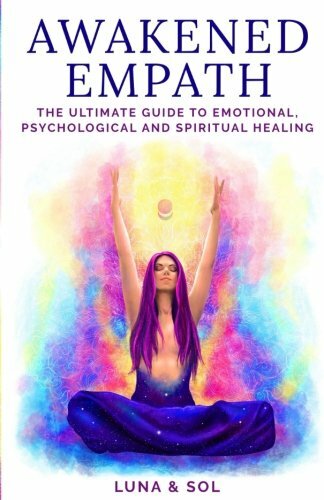 What Is The Empath? Empaths are usually achievers. Most often quietly achieving while transferring credit to others. They do not usually like public praise or compliments and if given to them will often respond by pointing out the positive attributes and qualities of someone else. Empaths don’t usually get a chance to talk about their own personal feelings. This is because those they tend to associate with usually don’t ask. However they can, and will, usually be highly expressive if asked to discuss any matters of emotion. Empaths will normally be very open about feelings, emotional connections and very frank and honest. For those struggling with being an empath, or if they are unaware of being one, they can be the polar opposite of our expectations. Some Empaths become reclusive and are viewed as ignorant and unresponsive. This is not a natural part of being an Empath. However it is a normal and understandable reaction for an Empath who is struggling to cope with the constant barrage of emotions and feelings being absorbed from others. It is also understandable while the Empath tries to discover which are their own feelings and emotions and which are not. It is a blockage for self protection. Empaths tend to focus on what is happening emotionally outside of them rather than inside of them. They focus and concentrate on others emotional needs rather than their own. This leads the Empath to taking on the role of peacemaker and looking to soothe tensions and emotions. Empaths are non-violent, non-aggressive and any disharmony causes them great discomfort. Confrontation is not natural and causes distress to an empath so often they will try to settle a dispute quickly, even if it means sacrificing their beliefs and needs. If an empath loses control and speaks harshly, or without thought for the emotions of others, they usually try to resolve the situation. In fact they often try to resolve the conflict immediately. This sudden change of attitude can confuse the non-empath and may worsen the situation leading to them not accepting an apology. If causing emotional hurt to another the empath resents themselves for their actions and often continues to self punish themselves mentally until assured of forgiveness. Empaths are constantly picking up on other’s feelings and if unaware may project these feelings outwardly with no realization of the fact. This leads to the Empath not being able to express their own feelings and leads to them bottling things up. This then leads to them not releasing negative or unwanted emotion. It also means these barriers prevent them and others from understanding their actual feelings and thoughts. An Empath must learn not to be an emotional mirror. They need to learn to know which are their own emotions and which are not. They need to consciously practice releasing their own emotions and talking about their own feelings. Not reflecting or mirroring those of others. This allows the empath to find peace in situations and a stronger degree of understanding about being an empath. 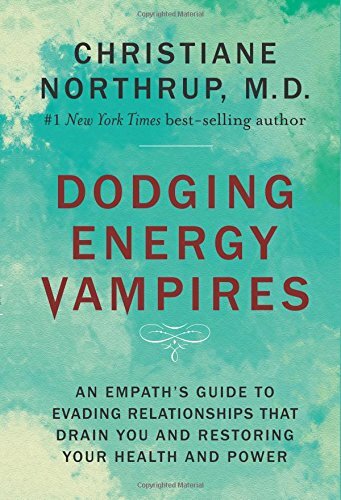 This is a critical step of self development because the emotional withholding of their own emotional state is detrimental to the empaths health. The longer that thoughts and emotions are contained and blocked without being released the more emotive power they build. These trapped thoughts and/or emotions can eventually turn the peace loving empath to become emotionally explosive. As an empath you must learn, as is everyone’s right and need, to express yourself openly and honestly. This is a form of self healing. It enables energy to flow naturally throughout our bodies. 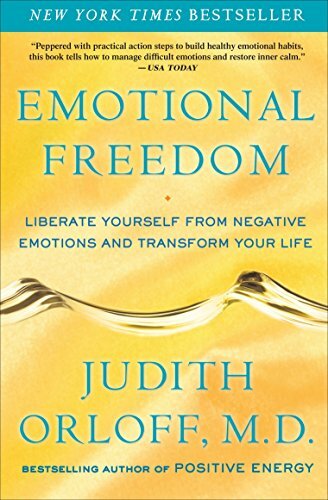 To avoid expression of our own emotions is mentally crippling and can lead to emotional/mental instability and breakdown or the creation of physical illness and disease. Empaths, from an early age, need to be aware of the impact of the outside world and external influences on their emotions and physical health. The External Influences – What is the Empath? What Does It Mean For My Life? Empaths will be emotionally engaged whenever they see physical or emotional pain being inflicted upon others (adults, children animals etc). These things can bring an empath to tears and can cause physical symptoms such as feeling ill. They will struggle to comprehend cruelty in any form. Even watching these scenes on television news and broadcasts can cause grave emotional reactions within the empath. Empaths cannot understand or accept the suffering they see and feel when pain is inflicted upon others. This often leads empaths to work with animals, people or the natural world. They are recognized for the devotion and dedication shown to helping those they work with and for. Empaths are romantics, they believe in old fashioned love, romance and commitment. 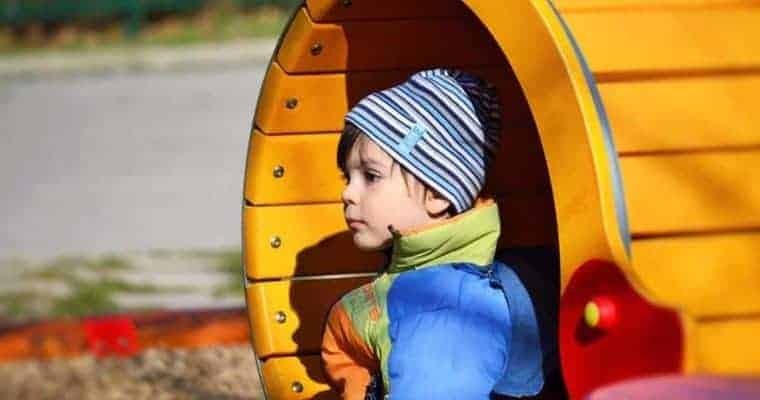 They are naturally gentle souls who have excellent imaginations, inquisitive minds and love learning. This makes most empaths natural storytellers and often are those in the family that listen to others and pass along the family history. Music can play havoc with Empaths however most Empaths love music. Empaths will listen to a range of music and have difficulty answering when asked about their favorite style. They usually like it all. This is due to the Empaths subconscious changing their desire for music to suit their expressive temperaments and feelings at the time. Many people cannot comprehend how an empath can be listening to classical Beethoven one minute and then change instantly to Heavy Metal. For the Empath the music must match the mood! Lyrics within a song, especially if it reminds an empath of a prior experience, can have very powerful and often extreme impact. Lyrics of lost love and emotional pain can cripple an empath. Empaths will become lost in music, almost to a trance like state. They become one with the music and are often as expressive with body language and movement as they are with words, thoughts and feelings. This leads most Empaths to having a love for gestures, body movement, dance and acting. The Empath and Others – Am I An Empath? Regardless of whether others, or the individual themselves, are aware of being an empath people and animals are drawn to them due to their genuine warmth, compassion and love. People find it very easy to speak to an empath, even complete strangers. The people who connect with an Empath will find themselves talking about the most personal of things. They will pour out their heart and souls without consciously intending to do so. Others subconsciously are aware that the empath will listen to them with compassionate understanding. Empaths are the listeners of life. This doesn’t make them bland or unresponsive. In fact usually they have very dramatic personalities and a distinct individual style. When balanced and aware of their own emotion they are often the life and soul of the party, humorous, outgoing, enthusiastic and positively optimistic. They will be a joy to be in the presence of and others enjoy their quirky and at times irreverent humor. The Darker Side of the Empath. The Empath who has not learnt to understand and express their own feelings and emotions may be subject to terrible mood swings. This will alienate others and drive people away. The thoughts and feelings Empaths absorb from others can be so overwhelming (if not understood) that their moods can fluctuate with lightning speed. One moment they may be delightfully happy and the next second completely miserable. When an Empath is abandoned in the midst of mood swings it can be incredibly detrimental to their emotional health and self esteem. An Empath would never abandon someone in need. They will blame themselves for the others leaving them. This will make their ability to express personal emotion even more unlikely. Empaths simply need what they give to others. Comfort, caring and someone who will listen without bias, judgment or condemnation. For those who live with, or have close friendships with, an Empath it is important to remember that many Empaths do not understand what is occurring within them emotionally at the time. They may have no idea that they have absorbed and are now reflecting the emotions and feelings of someone else. The empath is likely to be just as confused about his or her mood swings and changes in emotion. They will equally question how one moment all is well, and then the next, they feel so depressed and alone. It is therefore no mystery why so many Empaths end up being incorrectly diagnosed with mental health issues and why so many in the medical profession cannot understand why the empath is unresponsive to prescribed pharmaceutics and antidepressants. These drugs may dull emotions but they do not stop an empath being an empath. 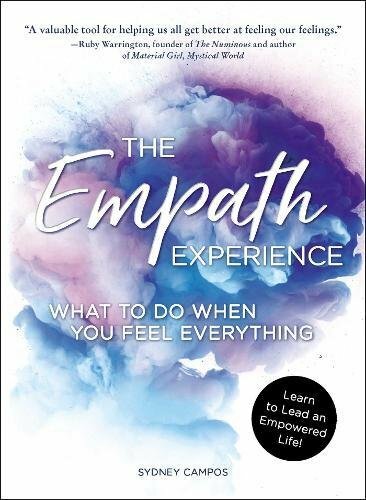 To make progress and live a happy and fulfilled life an empath must learn to understand the emotional connections involved. Often understanding is sufficient. The Empath and the Answers! Empaths are born problem solvers. They believe that where there is a problem there is always an answer. They will, often to the annoyance of others, search until they find the answer. This is often to give the Empath peace of mind particularly if they feel they have caused a problem. Usually the Empaths continual search for answers is beneficial to their relationships both at work and at home. They are seen as a person who always comes up with an answer, even if some time later. They live by the motto – “Where there is a will there is a way”. If there is a way the Empath will find it. The finding of answers is often due to the Empath tapping into Universal Knowledge. An empath is naturally receptive. While they may be unaware of, or may not believe in, universal knowledge and divine guidance they subconsciously are receivers of it. It is this they use to seek answers and solve problems. The Empath is constantly in a state to receive. This is why so many have highly adapted sensory perception and a connection to Universal Knowledge. 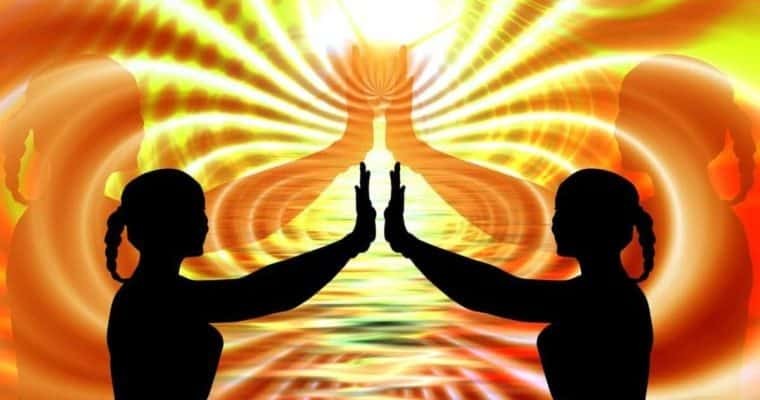 Empaths and the Spiritual – What is the Empath? Vivid and Lucid dreaming is usually common with Empaths. They have highly vivid and detailed dreams and often spend time trying to interpret these. Empaths feel, not necessarily knowing why, that dreams are a reflection or a link to their current and present emotional state. They do not accept that dreams are a mere jumble of irrelevant and meaningless images. As well as sleep time dreamers most empaths are vivid and detailed daydreamers also. If the present moment in time is not stimulating or of interest to the empath they will find themselves detached and lost in daydreams. If an interesting thought or concept enters the Empaths mind they will spend large amounts of time exploring this in a daydream state. For others this may appear to be detachment. In reality the empath is far off, in their own world, exploring the thought and living it as if in reality itself. Empaths and Exciting Stimuli – Am I An Empath? When presented with a person or subject that stimulates and arouses emotion within the empath, even if lost in a daydream, the empath is receptively alert. Empaths are a captive audience. Should the subject be linked to prior experience or regarding complex thought the empath will be focused 100% and fully engaged. Empaths frequently experience déjà vu and are likely to have had varying paranormal experiences throughout their lives. Research of Empaths have shown that they commonly experience OBE’s and are highly intuitive. If aware of their empath nature they will embrace these paranormal experiences and often develop spiritually and psychically. 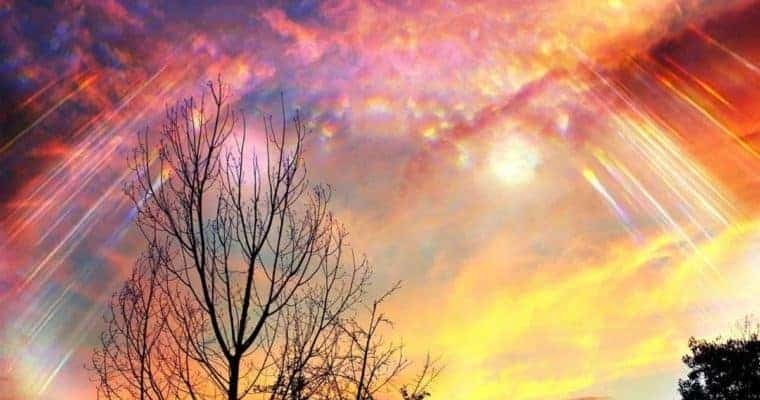 For those empaths still coming to terms with any paranormal experiences, or their abilities to connect with universal energies, they may attempt to block or suppress them. Am I an Empath is an important question to ask, and to get the answers too. I hope this post has helped you understand the empath defintion. If you wish to know more read our article on the Empath common traits. Or visit and subscribe to our YouTube channel. I think the way in which you wrote, and the the style, would highly indicate your empath nature. I hope we can stay in touch and learn together. This was VERY informative. Thanks to your article I now have no doubt, even if I wanted to continue to deny, that I am an empath. I will be studying further to reach another level of health. Im very pleased you enjoyed the post. Make sure you keep in touch or join our mailing list. There will be more posts relating to empaths very soon. 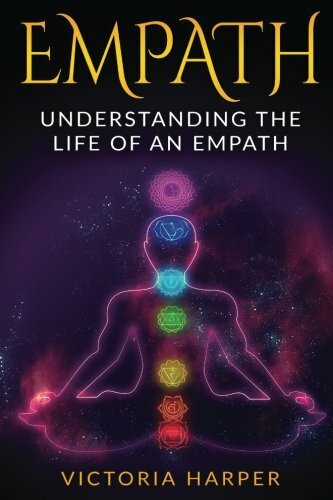 A treasure of information on Empaths. 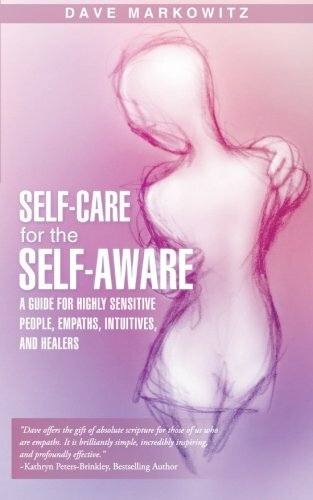 This can be developed into a really great ebook for Empaths and friends of Empaths alike. This article left me wiser and thoughtful. Thanks for sharing this wealth of knowledge with us. There will be many more posts about empaths in the near future.